2.2 oz. 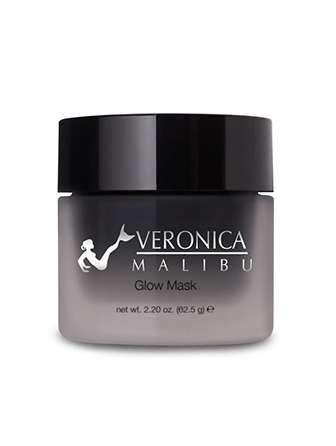 – The Veronica Malibu Glow Mask is a deep-cleansing mask that restores radiance by eliminating toxins and impurities. This mask energizes the complexion to reveal and healthy and youthful glow! The thermal, charcoal formula activates with water, creating a warming sensation, while helping to melt away dead skin cells. PEG-8, Sodium Bicarbonate, Butylene Glycol, Glyceryl Stearate, Silica, Kaolin, Charcoal Powder, Tocopheryl Acetate, Sea Salt (Maris Sal), Potassium Stearate. Leave on for 5 minutes, then wet finger tips and lightly massage into skin to activate. 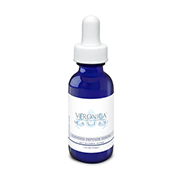 Follow with moisturizer and sunscreen in am or Veronica Hydrating Night Cream in pm.